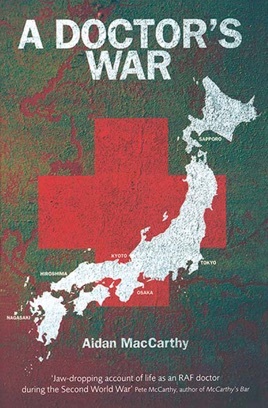 An “engrossing” memoir of a Royal Air Force doctor’s World War II experiences, from surviving Dunkirk to witnessing Nagasaki (The Irish Times). As an RAF medical officer, Aidan MacCarthy served in France, survived Dunkirk, and was interned by the Japanese in Java, where his ingenuity helped his fellow prisoners through awful conditions. While en route to Japan in 1944, his ship was torpedoed, sending him into the Pacific. Miraculously, MacCarthy was rescued by a whaling boat—only to be re-interned in Japan. Ironically, it was the dropping of the atomic bomb at Nagasaki that saved his life, though it also meant being an eyewitness to the horror and devastation it caused.